 Log In needed $259,900 · 109 PLAINTREE DR. Spacious and well maintained 1400 sqft side split in very prime, central P-patch location. 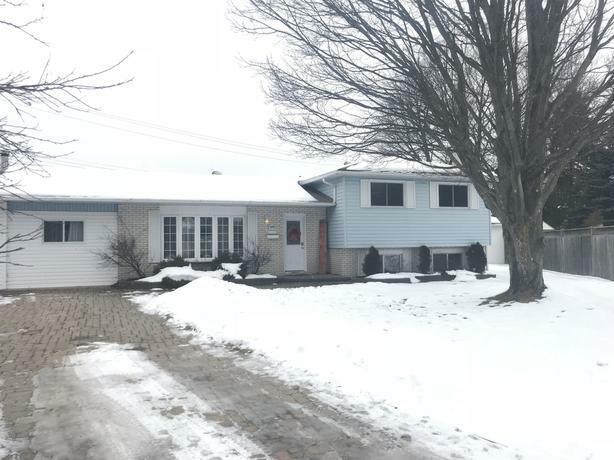 Move right in and enjoy in this 3 bed, 2 bath home featuring open concept living room with modern finishes throughout, hardwood/tile flooring, gas hot water in-floor heating, fully finished basement with tiled laundry room and rec room with gas fireplace. The large beautifully landscaped pie-shaped lot provides a private backyard setting with ample space, multiple flower beds, 2 storage sheds and wooden deck off kitchen with natural gas BBQ hookup. Quality home in a great family neighbourhood, walking distance to parks, schools and hub trail.